Need family fun ideas to keep your children entertained this summer? 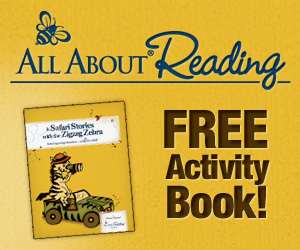 Need activities, crafts, and projects to keep your children busy all summer long? Browse this Summer Bucket List packed with boredom busters and let the fun begin! Summer time can be exciting for children but it can also be boring… and frustrating for parents, especially when there is no money available for extra activities. However, you can be prepared for those long summer afternoons and the onslaught of “I’m bored” echoes with any of these amazing activities that boost summer learning without a dime. Use this list as a springboard to create your own summer bucket list. Visit the fire station. You can even bake cookies or another treat to take as a gift. Open a lemonade stand. Donate the proceeds to charity. Just be careful of any licensing requirements in your area. Go berry-picking and make yogurt parfaits. Just layer yogurt with berries and top with whipped cream. Have an Outdoor Photo Scavenger Hunt. Cook s’mores in a solar oven. Recycle old crayons by melting them in the sun. Choose a fun silicone mold – like this LEGO mold – so they easily pop out. This works best if you place the mold on a hot sidewalk or on top of a car. Play tag with a wet sponge. Create an obstacle course. We hosted a Super Mario Bros. obstacle course one year. So much fun! Have a family video game tournament. Build tents in the dining room. Pull out the board games. Our family loves playing Qwirkle, Boom Boom Balloon, and Zingo! Learn to make balloon animals. You can buy balloon animal kits at Amazon and there are free tutorials on YouTube. Make homemade pizza. I love to make individual-size pizzas with an easy pizza dough recipe and set up a buffet of toppings so the children can mix and match their own creations. Gather a summer activity bag. Visit the library at story time. Create paper airplanes. Use fun paper plane instructions to “construct” your flying machines and then have a contest to see which can fly the farthest, highest, make loops, etc. Go on a bug hunt with a magnifying glass. Go on a treasure hunt in the backyard. Set up a kids art station. Make a Fruit Loop necklace. Play disc golf, soccer, baseball, or another fun sport in your yard or at a local park. Organize bike races with friends. Go on a hunt for buried treasure. Design some fancy flip-flops. Take a trip to the dollar store for cheap flip flops and embellishments. Paint birdhouses. Craft stores often run specials on unfinished birdhouses. I even saw some in the craft aisle at Walmart for $1. Play with Giant Pick-up Sticks. Watch for shooting stars. Lay a blanket in the backyard, serve popcorn, and wait for the show. Attend a church’s Vacation Bible School. Mix up some Bouncing Bubbles. Buy sparklers and write letters of the alphabet in light. Invite other families over for a talent show. Construct a Recycled Ladybug Jar. Recycle juice boxes into dolls, a city, a train… or whatever your child can imagine. Just add construction paper, google eyes, and glue. Play ring toss or bean bag buckets. Visit the mall for a ride on the carousel. This used to be a favorite for my kids. We would even have scavenger hunts in the mall… until the carousel went away. Turn an ordinary rock into a pet. Have balloon relay races. You can blow them, toss them, punch them, or bounce them. Just don’t let your balloon touch the ground! Cool off with Ice Excavating. Build play structures from newspaper. Watch the clouds for shapes. Dig for buried treasure in rice or sand. Create a seashell wind chime. Just hang seashells from a stick or piece of drift wood with fishing line or twine. Listen to free online storytime in multiple languages. Create Sea Creature Sand Castle Cans. Play with Bottle Cap Checkers. Feed the ducks at a local park. Create a sunny face with a paper plate and construction paper. Make homemade jam from fresh summer fruits. Use Kid Made Superhero Masks. Make a homemade piñata. We made a Ghast piñata (from Minecraft) using a cardboard box but you can use balloons and paper mache too. Have a magic show. Check out all these easy magic tricks for kids. Play with shaving cream. Shaving cream is great for making foamy sculptures and leaves you table clean when the playing is over. Construct a Tin Foil River. Have fun with DIY String Art for Kids. Make a pony bead bracelet. Just lace beads on twine or a chenille stem. Recycle sandwich boxes or shoeboxes into monsters. Create Leaf Imprints and Water Color. Watch ice melt on the sidewalk. I am totally serious. Visit the flea market. Just go early if the forecast is for hot weather. Invite friends over for water games. Make homemade popsicles. My family loves these easy fruit popsicles. Celebrate $5 Friday. Take $5 and shop at the Dollar Tree. Construct a Magnetic Marble Run. Climb a tree… with parental supervision. Create a Driveway Shape Maze. Turn Matchbox Cars into Airplanes. Eat watermelon and have a seed-spitting contest. This is a BIG deal in the south. A local town actually hosts a contest each year to see who can spit the seed the farthest. Have a burping contest. Not necessarily great if you are teaching your children manners but still fun. Get artistic with Sharpie Tie-Dye Shirts. Put together a DIY Kiddie Car Wash. Play with vinegar and baking soda. Make Your Own Mini Summer Pinwheels. Set up dominoes. Knock them over. Play again. Sculpt modeling clay or play dough. Have a finger food picnic at the local park. Go camping in a tent or camper. Try geocaching in your area. Paint the yard for DIY Lawn Twister. Create a Backyard Race Track. Make a News Paper Shirt. Make your own slip and slide with a tarp and plenty of tear-free shampoo. Light up the pool! Whether you have a big pool or a small kiddie pool, toss in a bunch of activated glow sticks after the sun sets for a fun evening swim. Create a Water Melon Sun Catcher. Watch a movie in the backyard. Movie projectors are as low as $75 on Amazon. Visit a farmers market, pick out vegetables for dinner, and then cook together. Have a bubble blowing contest with homemade bubble solution. You can even make square bubbles! String up some Water Balloon Pinatas. Turn off all technology… for the whole day. Make a craft from items found outside. Grab a treat from the ice cream truck. Mix up Shaving Cream Finger Paint. Start a garden for butterflies, vegetables… fairies. Read books on your booklist and play summer reading bingo. Take a photo everyday of summer and make them into a book. Walgreens often hosts great deals for creating photo books. Go to the $1 movie. Set up a Potion Lab. Have a water balloon fight. My kids love the new water balloons with color burst. Visit a local state park. Find a state park near you. Make s’mores. But, try something new. Use peanut butter cups or mini candy bars in place of plain chocolate bars. Get more ideas for a s’mores buffet. Wash the windows with water. Stir together some Cloud Dough. Blow paint. Drip paint on paper and blow it around with straws. Visit a Home Depot or Lowes kids workshop. Learn a new skill. Encourage your child to learn to sew, play chess, sign language or any skill that interests them. Tons of free tutorials are available on YouTube. Organize pinewood derby race. Even if you are not a Boy Scout, you can organize friends and family members to decorate and race them. You can find pinewood derby kits at Amazon. Have batting practice with water balloons. Travel out of state with your family or tour your own state. We did a family road trip in Alabama. Paint your nails red, white, and blue. Finish a 1000 piece puzzle together. I just bought the “Games I played as a kid” puzzle because I thought it would be fun to compare what games looked like when my parents were kids versus what they look like now. Mix up some Homemade Chalk. Visit a splash pad or neighborhood pool. Have a snowball fight. Yes, a snowball fight in the middle of hot summer! Ball up a bunch of white socks, hide the breakables, and launch an all out “snowball” war in your living room. Go on a Neighborhood Treasure Hunt. Cool off with Ice Painting. Stay up all night and talk. Spend the day on the couch watching movies. Visit a drive-in movie in a truck. Pack blankets and pillows to watch from the back. Check out some local outdoor concerts. Play a round or two of putt-putt golf. Have fun with DIY Spray Chalk. Play the Ice Cream Game With Shaving Cream and Ice. Write a letter to someone and mail it at the post office. Watch planes take off and land by the airport. Build something with real tools like a planter, bookcase, etc. with parental supervision. Visit and tour a local factory. Go cyber bowling. And just in case you were wondering… Cyber bowling is like regular bowling but with black lights. Learn to do a new chore. Have a watermelon eating contest. Spend the day at a waterpark. Have an ice cream sundae bar. Create a scrapbook of your summer memories. Browse your city’s website or the newspaper for free summer activities. Host a bike wash with different sponges and brushes. Take the ideas from my summer bucket list an plug them into a routine. It is easy for us to skip church during the summer but our kids start to climb the walls if they are around one another too much. Church not only gives them a dose of socialization but a chance to learn more about what we believe. Plan a simple art activity for the kids or let the children browse Pinterest with you and pick something out. If you budget allows, you can take them to a craft store for inspiration. This is not a “send the kids out to play” and enjoy the peace and quiet day. Nope. Have an organized activity with family and/or friends. Science is fun but most schools do not have time for science experiments during the school year. We keep science on our summer bucket list so the kids can keep learning all summer long. Once a week, leave the house. Whether it is a trip to the park, library, or beach, go on a short trip. My children love to cook, and I am not afraid to have them in the kitchen with my supervision if the tasks are easy. Let the children pick recipes from our kiddie cookbook collection: Sesame Street “C” is for Cooking , Paula Deen’s My First Cookbook , and The Do It Myself Kids’ Cookbook: Nothing Hot, Nothing Sharp . Each Saturday, rotate the child who gets to pick the activity. Repeats are okay but try to do something different each week. It might be an adventure away from home or something in the backyard. You just never know what they will choose, although Lira has already put her choice in for bowling. Need more free things to do this summer? Remember to check your local museums, libraries, and parks for free events. Register your kids to get two free games of bowling each day all summer long. Check the map to see if a center by you is participating. Days and hours may vary by location. Bowling shoes required. Shoe rental is not included. If your kids love to skate, let them skate for free with passes at Kids Skate Free. Skate rental is not included. Days and hours may vary by location. Join Home Depot on the first Saturday of each month for a Learn to Build Kids Workshop. All kid get to keep their craft, receive a FREE certificate of achievement, a Workshop Apron, and a commemorative pin while supplies last. Reservations are required and available on a first come-first served basis. >>FREE TIP: Don’t forget to check your local area’s chamber of commerce or city website for a list of free local activities. Visit your local Lowes on the second or fourth Saturday of each month for a Build and Grow Workshop just for kids. Children will build a wooden project, get a free apron, patch, and more. Registration is required. Projects may vary by location. Apple Camp registration has yet to open for 2016. You can sign up to get an alert as space is limited and sure to fill quickly at these free three-day workshops for kids ages 8 to 12. Apple camp concludes with a showcase so kids can share what they made. Target is teaming up with local organizations to offer free and reduced-price events throughout the summer. Check for events in your area. Click to find more ways to save on summer fun! Each Saturday, your child can create a free craft at Lakeshore Learning from 11 AM to 3 PM. No reservation is necessary. Ages 3 and up. See the crafts or find a store near you. Various American Girl stores are hosting events throughout the summer that are free for the kids. Click here to see the events and stores. >>FREE TIP: Check with your local library for a list of free events all year long. Join an in-store scavenger hunt (through June 13th) or visit the store on Tuesdays from 11 AM to 11:30 AM for Book Club. See the events and participating stores. Have a Bank of America or Merrill Lynch debit or credit card? You can get one free admission to a long list of museums on selected days. Get the dates and eligible locations. Visit your local Bass Pro Shop for Family Summer Camp from June 5th through July 11th on Tuesdays and Thursdays or Saturdays and Sundays. Dates vary by location. Tons of summer activities are planned. Check your local Cobb Theater for details on free movies for the kids. In my area, movies are rated G or PG and the free movies are available three times each week beginning at 10 AM each day. Group discounts are available for concessions. Several Whole Foods Markets are hosting free things to do for the kids all summer long indulging cooking classes. Check your local store for events. On August 25 (National Park Service Birthday) or September 26 (National Public Lands Day) you can get free admission to participating National Parks. See the other free days or find a park near you. Click for fun summer playdate ideas. Sign your child up for a seven-week “road trip from the beach to the county fair and beyond” and s/he will come home with a fun craft after each visit. Plus, if you child attends 5 trips, they can choose a special prize. Sign up and/or see the Passport to Imagination projects. Sessions will be held Mondays, Wednesdays and Fridays from 10AM – NOON. The cost is $5 per session or $12 for 3 sessions. Recommended for ages 3 and up. Kids Club may also be available at your location for just $2 per child. Check listings at your local Carmike Cinema for special kids events. In our area, movies are rated G or PG and cost is $4 for admission and a small popcorn. Regal Entertainment Group is hosting Summer Movie Express for only $1. Tickets available for purchase at the box office and all movies start at 10:00 am. A portion of the proceeds goes to the Will Rogers Institute. Find a theater and see the movies. See one movie for $1 for ten movies for $5 (when purchased in advance) with the Cinemark Summer Movie Clubhouse. All movies are rated G or PG. Eventually, the kids will want to play on the computer. Why not have them play something educational with these free games? For rainy afternoons, quiet time, and sizzling days, have some printables ready. While the kids are reading, they might as well be earning freebies and gifts. Meet Penny – mobile device – I understand! FYI – almost 100% of my Internet usage is on a mobile device. I was looking through your bucket list because I am a homeschooling mama of 4, but I’m also a daycare provider that takes school agers during the summer. I need lots of ideas to keep them busy. ?